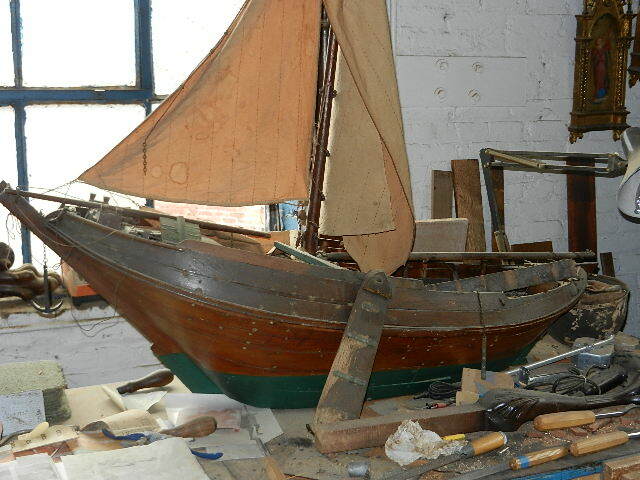 "I have been given the task of restoring an old model of a lee board equipped vessel. After doing many hours of online research, I can't say that I've been able to find a match for this vessel. I would date it circa last quarter of the 19th century to the fist quarter of the 20th, judging by the embossed confectionery labels on the reverse side of some of the pieces of wood used, these labels look British in origin. 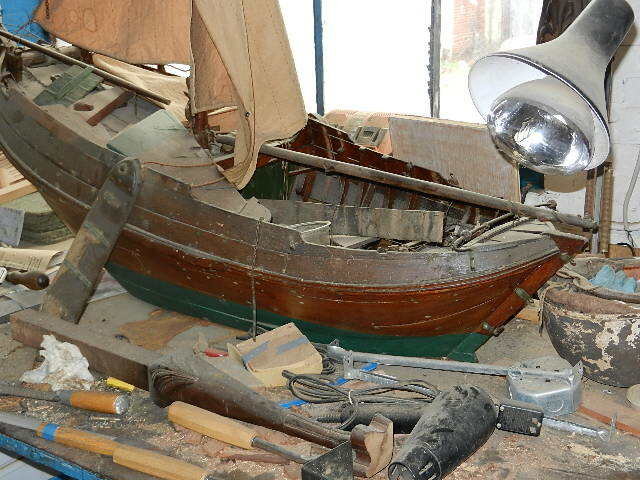 I want to get this restoration correct, since it is also a record of a form of boat, I do not want to resort to making anything up, which might not be correct. They have digitized a vast amount of their collection, making it available to all online. I want to send them pictures of this model I'm restoring.